"Maximizing Modular Open System Approach (MOSA) for Long Term Adaptability!" Air Force Technical Program co-hosted by AFLCMC/WNY and the Dixie Crow Chapter of the Association of Old Crows. The Association of Old Crows is an organization for individuals who have common interests in Electronic Warfare (EW), Electromagnetic Spectrum Management Operations (EMSO), Cyber Electromagnetic Activities (CEMA), Information Operations (IO), and other information related capabilities. 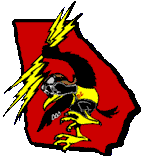 The Dixie Crow Chapter is located in Warner Robins, Georgia.